Many people think that life after bankruptcy is sunshine and lollipops but the reality is quite different. Though Chapter 7 or Chapter 13 offer an opportunity to start fresh, the slate is not immediately wiped clean once the filing is discharged. There are several lasting consequences and filers must work hard to maintain a clean financial status. For starters, they must reestablish credit that has been tarnished by overspending and failure to repay debts on time. The best way to obtain credit post bankruptcy is to use prepaid credit cards and repay other expenditures in full, in cash, as soon as possible. This prevents balances from developing on credit cards and eliminates the opportunity to overspend. Establishing a budget and sticking to it are perhaps the smartest things that a person can do when emerging from Chapter 7 or Chapter 13. A budget that includes necessary living expenses and allocates a regular amount of income to savings keeps spending in check and ensures that rent, utilities, and other essential expenses are paid in full each month. A savings plan sets money aside for an emergency, annual vacation, or the retirement years. By understanding how they spend money, individuals who were formerly bankrupt can avoid wasting it in the future. Budget development begins with writing down every expense down to small purchases like gasoline. This expense list is then reviewed to determine whether any expenditures can be reduced or eliminated. For example, a landline telephone may not be necessary if the individual has a cell phone. Taking a strict approach to expenses may result in drastic reductions. If expenses have always been a problem, they should be scrutinized when developing a budget. Review each expense, ensure that it is necessary, and make reductions wherever possible. For example, if the food budget is $200 a month but that includes $100 spent at restaurants, consider reducing that budget to $150 or even eliminating dining out, at least for a portion of the year. There may be expenses that cannot be eliminated but there are likely to be many others that can. As just one example, magazines and DVDs can be procured at the library rather than through subscriptions and trips to the theater. While a budget should be adhered to, it may also change over time. Periodic review and adjustment help to prevent frustration due to overspending in a necessary area and ensure that there is enough income to support the household. Sacrifices may need to be made but there is usually no need to drastically alter the lifestyle. A household budget should be revised at least once a year after bankruptcy. Self-employed individuals should redo their budgets whenever fluctuations in business causes a drastic change in earnings. This ensures that savings will continue even during the leanest times. Saving just five dollars a week is better than saving nothing and over a one-year period, will result in a savings of $260. If an appliance breaks and needs repair or replacement, this emergency fund will come in handy. Savings should have top priority during budget development. Many people find themselves in bankruptcy due to an unexpected event like unemployment. Had they saved money, they may have been able to handle this temporary setback. An emergency savings fund of between six months and one year worth of income should be included in the budget. This budget should become the daily living plan. Unless an unbudgeted item is an emergency expense, it should be put on a wish-list for the future. Extra income and bonuses should be placed into an interest-bearing savings account or money market fund so the cash can earn money. After a year, monthly contributions will result in a respectable balance. Along with monthly saving for emergencies, people should save for retirement. Those who were formerly bankrupt are no different from the rest of the population. They will require money to live on during retirement. Making automatic monthly contributions to a retirement plan is a relatively painless way to build a nest egg. When the money does not reach the regular bank account, it will not be missed. In addition, saving for retirement offers tax benefits that regular saving does not. If life after bankruptcy includes sticking to a budget, financial woes should become distant memories. An experienced bankruptcy lawyer can help an individual file for Chapter 7 and Chapter 13 and emerge to a positive financial future. Life will no longer involve fretting about which bill will arrive next. The slate will be wiped clean of debt, allowing worry to subside. 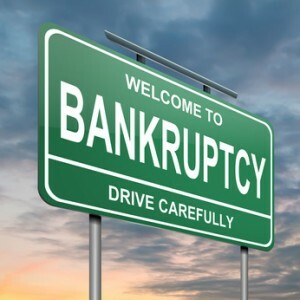 Get Bankruptcy help now by filling out the Free Evaluation Form!